What Is A Cactus Combo Bonsai? Desert-dwelling cactuses are some of the most unique plants in the world. The most well-known cactus is the mighty saguaro which can reach over 50 feet in height. While the saguaro is nearly impossible to maintain away from its natural habitat, a cactus combo bonsai is a way to have a beautiful cactus in your own home. A cactus combo bonsai is a potted collection of one or more small cactus plants. Specific varieties of cactus are selected so that the collection will only reach a maximum height of 10 inches. Unlike many other houseplants, the cactus combo bonsai is easy to take care of and requires very little effort to keep alive. Description The cactus combo bonsai is a miniature form of the giant saguaro cactus. This small-scale cactus rarely grows taller than 10 inches. The cactus is a thorny succulent, and it is native to desert conditions. A collection of these small cacti can be used to create a miniature garden in a pot. Position Place the plant in a sunny site, but out of the way of direct sunlight. Watering Watering once a month is sufficient for this plant. Feeding The plant does not require fertilization of any type. Leaf and Branch Pruning The cactus does not need to be pruned. Re-potting & Growing Medium Grow the plant in loose, free-draining soil. Notes If a section of the cactus dies, it can simply be cut away and discarded. The rest of the plant will remain healthy. In Japan, true bonsai plants are considered an art form. Traditional bonsai trees are well-trimmed to look like tiny versions of full-sized trees. 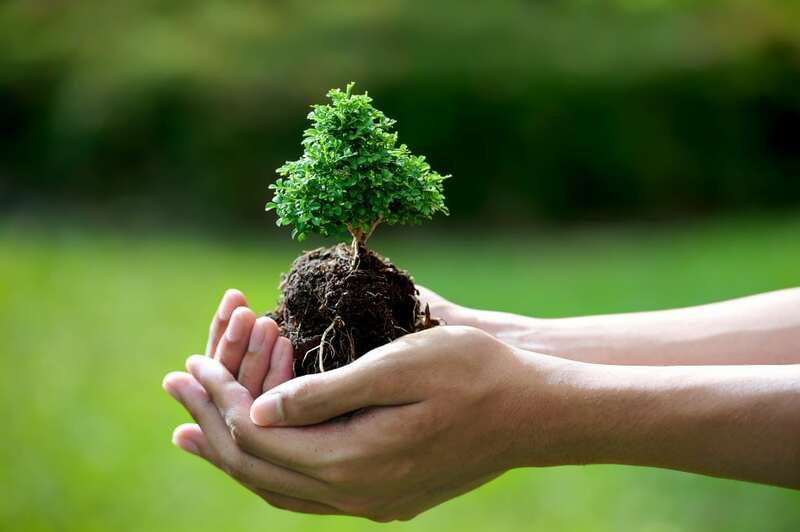 Bonsai are highly prized by their caretakers. 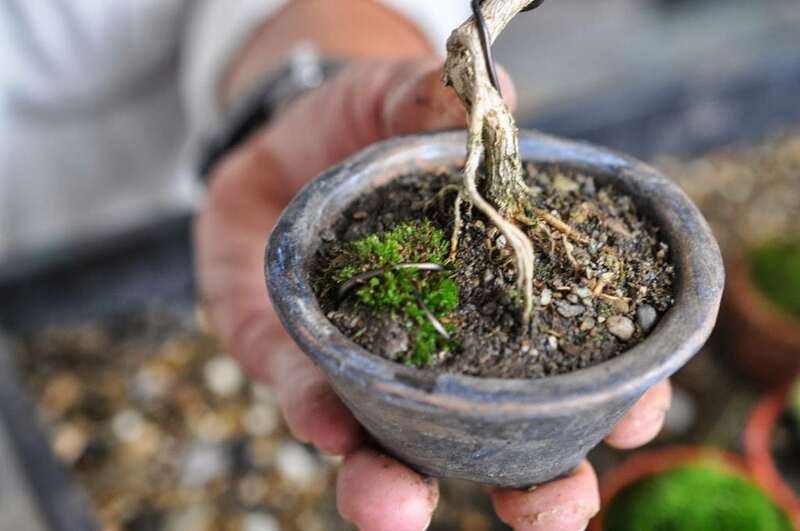 Soil maintenance, root trimming and much more are required for true bonsai plants. Cactus combo bonsai, however, are much different and require very little maintenance beyond monthly watering. The biggest risk to a cactus combo bonsai is over-watering. Cactuses generally only need to be watered once a month. Many cactus plants survive in harsh desert conditions where they may go months without water. For best results keep the cactus in a room with plenty of sunlight but try to keep it out of direct light. Ideally, place the pot on a windowsill or table near a window. Be mindful of its location if you have children as the thorns can hurt curious hands. Be sure to keep an eye on your plant. Cactus plants are succulents and should look green and healthy. Cactuses are slow to display health issues but keeping an eye on changes will ensure they stay healthy for years to come. Occasionally a cactus or part of a cactus may die for no apparent reason. Gently pull off the dead section or trim it away. If an entire cactus among a collection dies, simply remove the dead plant and replant a new one. If you do not have easy access to another cactus from your local shop, try rearranging the rocks to cover the space. Your local nursery may have a cactus combo bonsai. If your local nursery does not currently have any in stock, ask if they can special order one for you. Big-box home improvement stores sometimes will carry some cactus plants even if you don’t live in an area that supports them naturally. You can also buy the plants from online specialty stores. Search for stores selling Southwest decorations to start. Be sure you’re buying a real plant and not a plastic one. Why Get A Cactus Combo Bonsai? Many people are fond of plants but may doubt their ability to take care of them because of past indoor gardening disasters. A cactus combo bonsai lets you keep a beautiful indoor plant that will be very difficult to kill as long as it gets water about once a month. It is the perfect starter plant if you want to learn more about keeping houseplants. These plants are unique. Many cactus combo bonsai are made up of an interesting arrangement of the cactuses and look like a complete garden all their own. These plants often come in an attractive stoneware bowl which adds to the look of your tabletop or windowsill. Cactus combo bonsais are great conversation starters and are something you will enjoy for years to come. There are many different varieties of cactus combo bonsai plants. They range from a simple arrangement of only one plant to a more complex arrangement of six or seven separate plants. A single plant will typically come in a common brown pot. The more complex versions combos are often offered in a painted stoneware bowl. 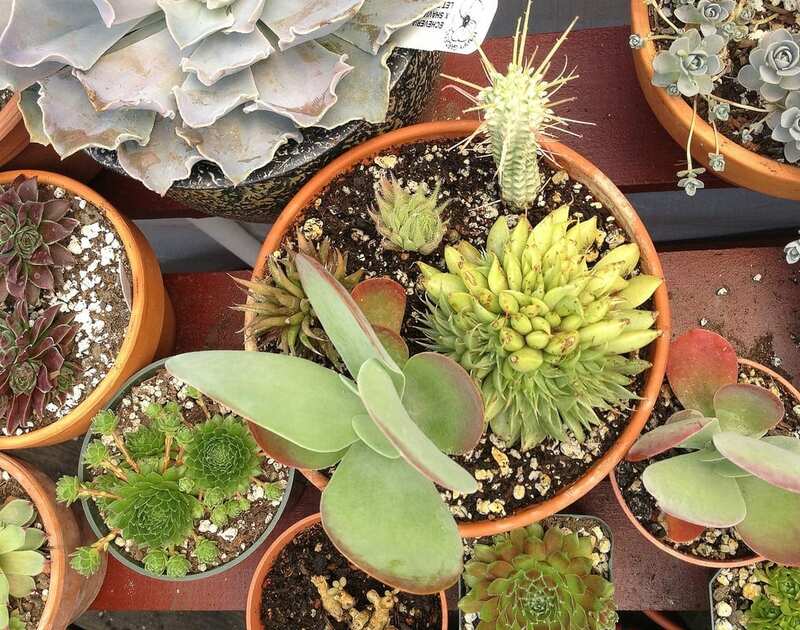 These intriguing arrangements offer a great deal of variety as they may include both flowering and non-flowering cactuses. Flowering cactuses give your bowl a splash of color when they are in bloom. You can decorate an entire tabletop or windowsill using the bonsai as the centerpiece. If you have visited the South-western United States you may have acquired various South-western decorations. Put a table runner or place mat on your tabletop. Place the cactus bowl on the middle of this fabric and arrange your South-western items around the bowl to complete the look. Alternatively, decorate the area with other plants to make the table look like a garden representing many different climates and areas. If your cactus combo bonsai came with a plain bowl or pot, paint it yourself to add your own personal flair. Who Is A Cactus Combo Bonsai Gift Perfect For? Perfect to give someone a pop of color and life in their new house without having to devote much time or energy to maintenance. A good introduction to botany and biology concepts for young children that won’t require the work a pet would. Cactus combo bonsais make good office roommates as they do not require constant care and attention. A long weekend of neglect will not harm the plant. The cactus combo bonsai requires virtually no trimming or fertilizing, thus making it the perfect plant for someone who is not able to give that kind of attention to a plant. A cactus combo bonsai is the perfect idea for the person that wants a little bit of green in their house without a lot of care. This small item can bring true outdoor beauty into any living space.